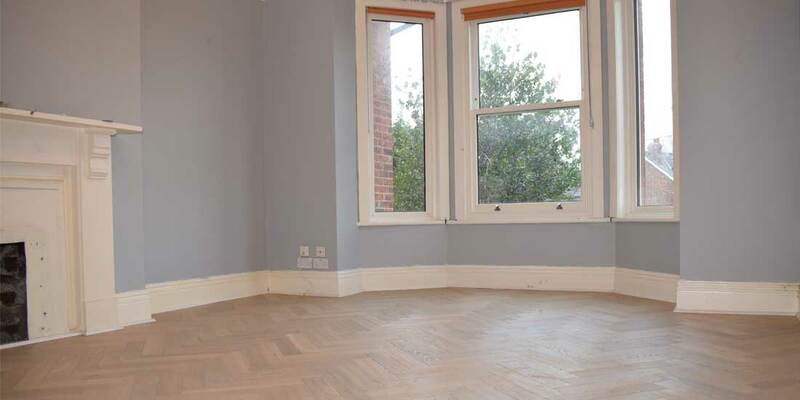 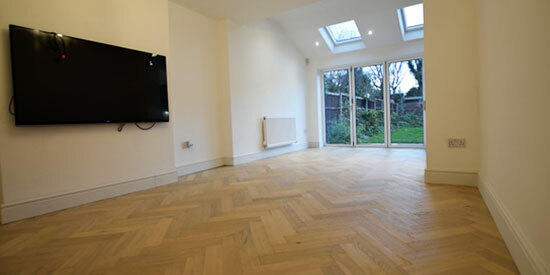 Karndean, Polyflor and wood flooring contractors! 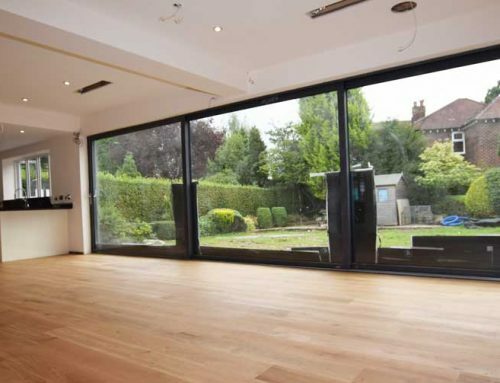 PROJECT OVERVIEW: Mr Grimshaw requested Luxury Flooring Manchester to help choose a modern and stylish designer floor his new home. 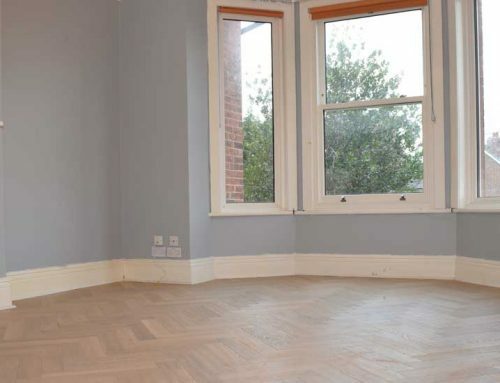 He wanted something dark, unique and easy to manage. 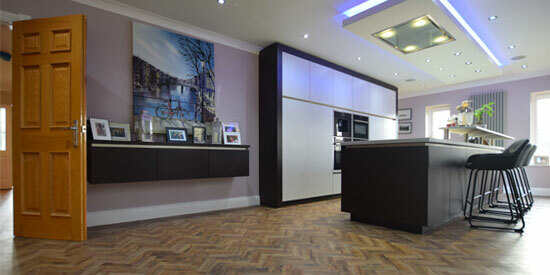 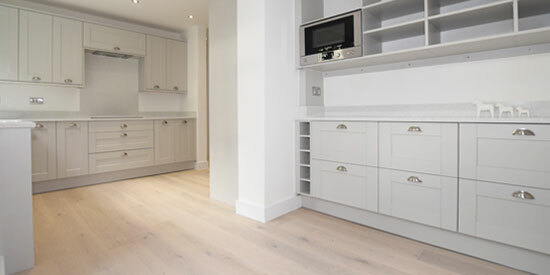 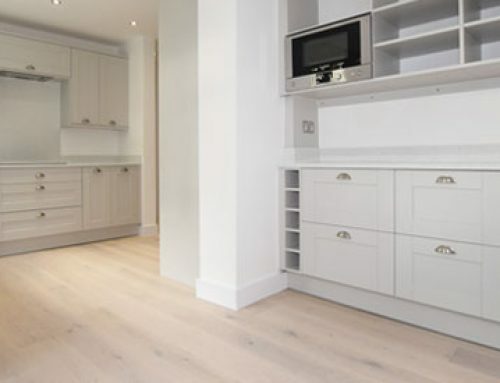 Due to the large kitchen space and hallway, the large planks from Karndean’s Opus range sprung to mind. 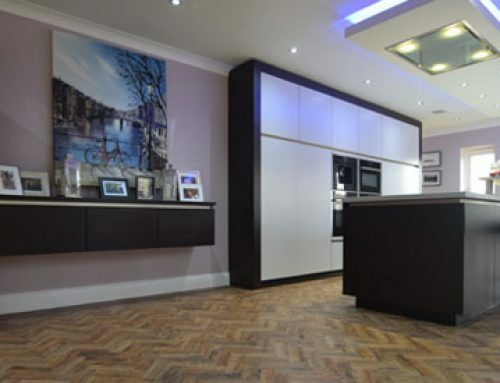 In particular, we looked at Argen due to the striking silver highlights and strong charcoal of this wood effect plank. 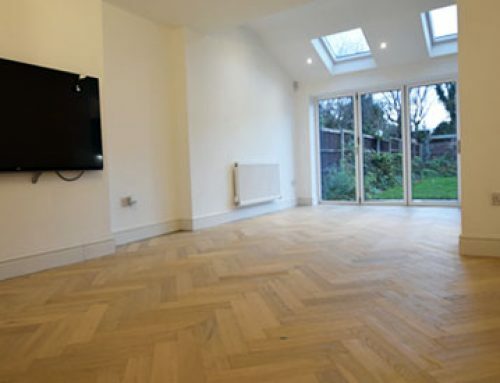 Extensive preparation was required before we could install the floor so this project started with installing a 2 part epoxy damp proof membrane and screeding the subfloor in two stages to SR1 level.